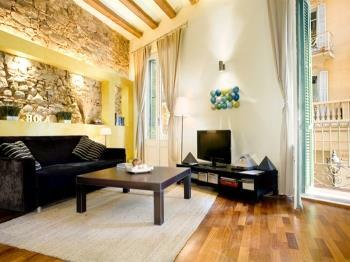 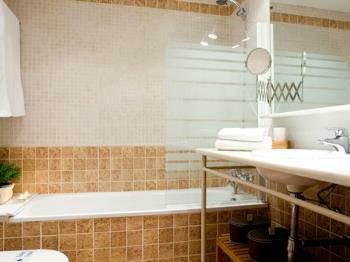 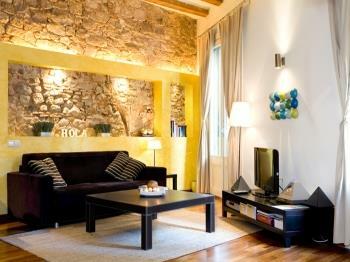 First floor, a luxury loft located in one of the noblest zone in the historic centre of Barcelona. 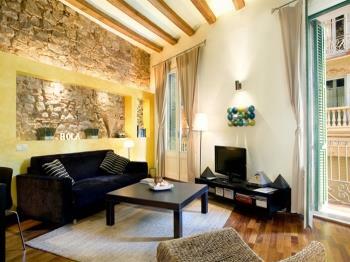 Close to Paseo del Born in the middle ot the Gothic Quarter, just 50 m away from the Gothic Church of Sta. 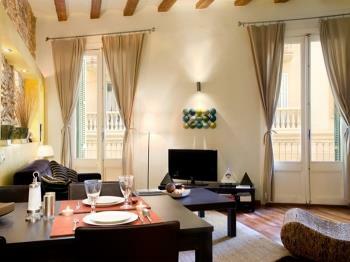 Maria del Mar, the Picasso Museum, the Cathedral and the port of Barcelona. 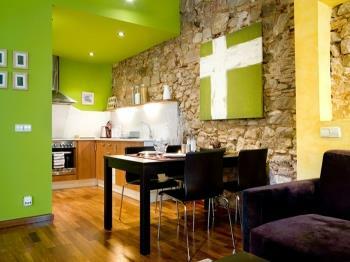 Renovated building which conserves the historic fassade of the zone. 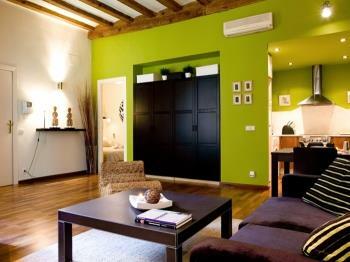 50 m2 area on the first floor with double balcony outside. 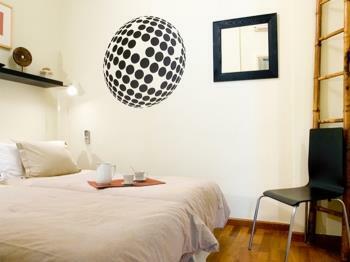 It is a calm and luminous place. 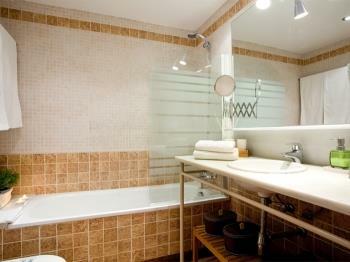 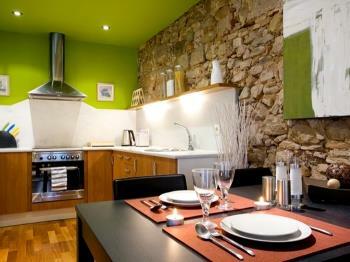 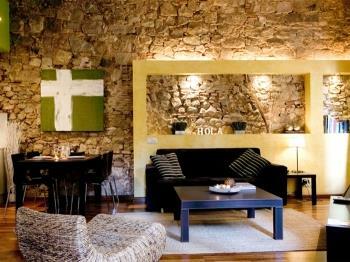 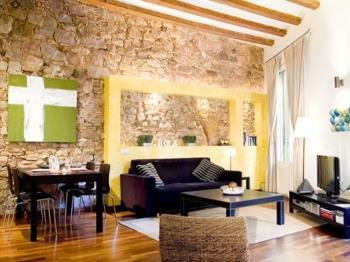 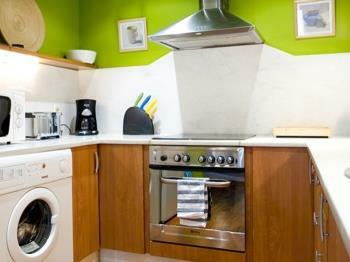 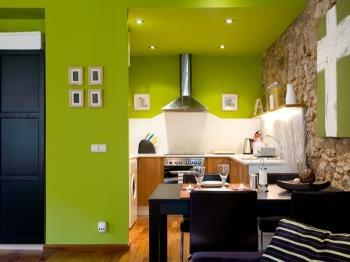 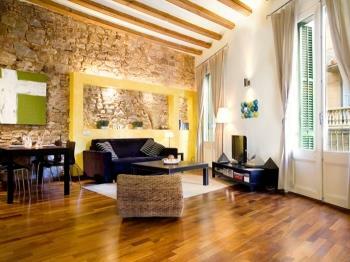 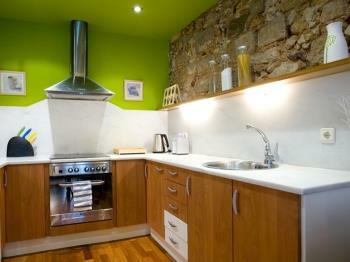 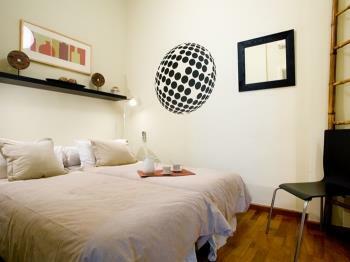 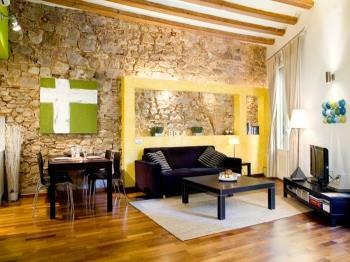 It´s a design apartment: restored wood-ceiling, original stone walls, parquet floor and design kitchen full equipped. A very large apartment distributed in entrance hall, living-room with a double sofa-bed, fully equipped kitchen, double room with too beds and complete equipped bathroom.